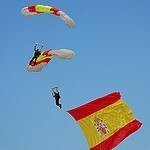 This Free online English to Spanish dictionary includes most of the vocabulary introduced in the Spanish lessons on this website. A las diez y media. Is it a long time that ...? Will you give me ...? Hay que mirar las bujías. ¿Puedo probármelo? / ¿Puedo probármela?